With a subtropical climate, unspoiled cayes (small islands), and atolls, as well as the largest barrier reef in the western hemisphere containing a dizzying array of fish and coral, it is no wonder Belize is considered one of the top diving locations in the world. At Turtle Inn we specialize in attentive, professional dive services dedicated to safety and our guests’ individual needs. We offer scuba diving equipment, snorkeling equipment, and tours, as well as a wide range of PADI (Professional Association of Diving Instructors) certification courses for both the beginner and more experienced. All Turtle Inn dive trips are led by a licensed Tour Guide who is also a PADI Divemaster or a certified PADI Instructor. Our snorkel guides are all intimate with the local marine environment and conditions to ensure a safe and enjoyable trip. 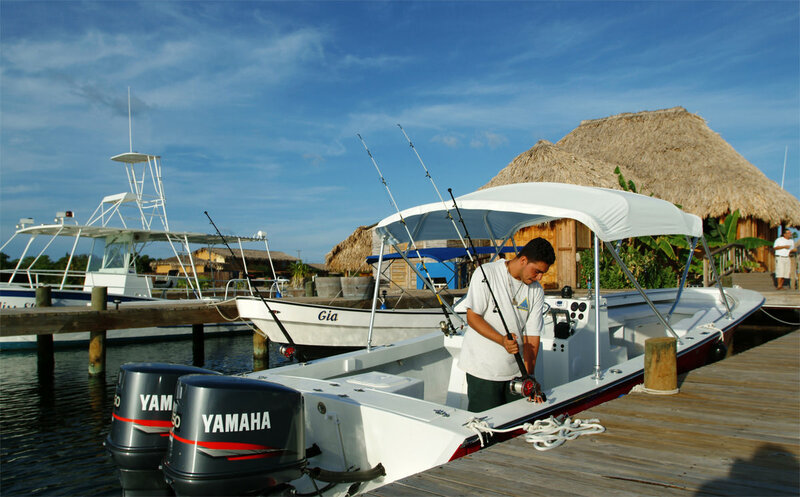 A licensed boat captain will also accompany each trip and remain on board the boat at all times. Turtle Inn uses only name brand, well-maintained scuba equipment. Our state of the art air compressors are inspected regularly and the filters are changed ahead of the manufacturers’ recommendations. If you have your own gear, we will be happy to wash it, store it, and set it up for your next trip, free of charge. 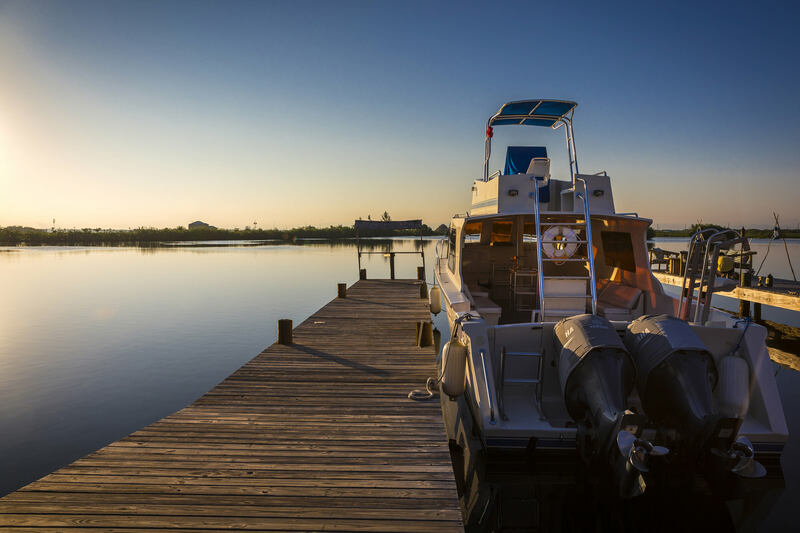 Our boats are all equipped with VHF marine communication, first aid kits, life support oxygen, life vests, diver down flag, and of course, a captain that knows and respects the sea. 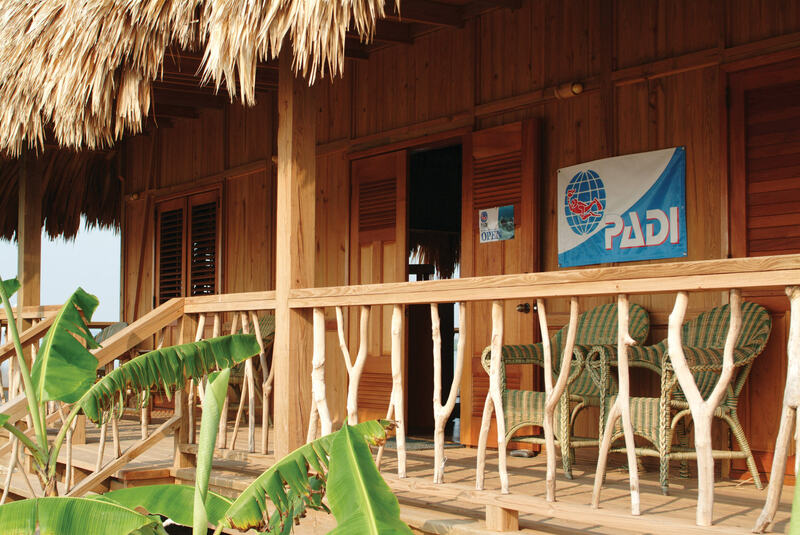 Turtle Inn is a proud member of the PADI International Resort Association, the world’s leader in scuba diving. 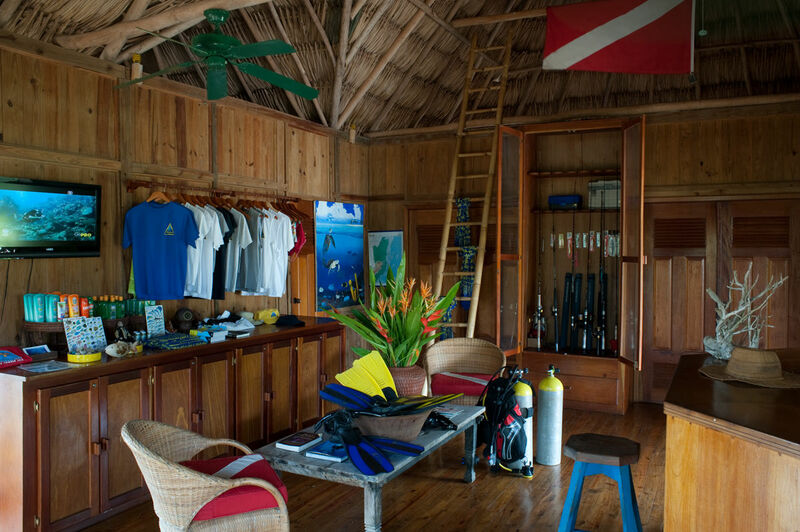 All of the courses offered by Turtle Inn are conducted by professional PADI instructors who follow standards set by the Professional Association of Diving Instructors. Courses include Discover Scuba Diving, Scuba Review/Scuba Tune-Up, Open Water Diver, and Adventure Diver/Advanced Open Water. It’s warm - rarely below 80°f. With that said, we still recommend wearing some sort of wetsuit or dive skin. All certified divers must present their certification card to the dive staff prior to diving. If you do not have your card with you, please let us know the day before your trip so we can verify your status. The Belize Recompression Chamber, located in San Pedro Town, Belize, offers hyperbaric chamber treatment with no prepayment or deposit; your insurance carrier is billed directly. Subject to a $2.00 per tank charge to support the chamber. Discover Scuba Diving (Resort Course): If you’ve always wanted to try scuba diving in Belize, here’s your chance to breathe underwater in a fun, convenient session. The course is completed in one day and includes all materials, equipment, one ocean dive, and a PADI Discover Scuba Card. Open Water Diver (Getting Certified): PADI Open Water Diver is the most popular diver program in the world and your ticket to a lifetime of intense adventures. The course is completed over four days and includes all material, equipment, four ocean dives, and your temporary certification card upon completion. Adventures in Diving/Advanced Course: The Adventures in Diving course is designed to make diving more enjoyable for both new and seasoned divers. The course involves a brief review and discussion about your specific dive interests and includes five ocean dives. Open Water Diver Referral: If you have your signed paperwork from your instructor back home showing completion of classroom and confined water trainer, we’ll take care of the rest. Four ocean dives over two days and you’re certified! Scuba Review/Refresher Course: Scuba Review is a quick confined water session that helps those divers who have been out of the water for a long period of time, or those who wish to familiarize themselves with a new equipment purchase. Course includes all materials, equipment, and a Scuba Review decal upon completion. Please inquire for pricing details or click here for full pricing on all activities and adventures.